David S. Brixey, CPA, is one of the founders of the Company and currently serves as the Chief Financial Officer. 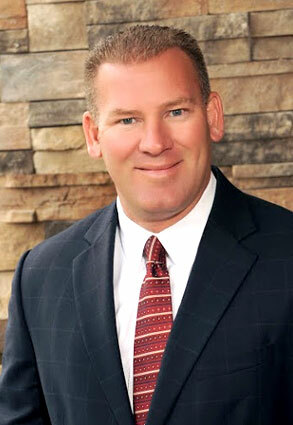 Mr. Brixey is also currently a Partner of Brixey & Meyer, Inc., Certified Public Accountants (“B&M”). He holds a B.S. in Business (Accounting) from Wright State University. Mr. Brixey is a co-founder of B&M, which commenced operations in 2002. Early in his career, Mr. Brixey spent a number of years with the “big four” firm of Ernst & Young LLP (“E&Y”), serving clients in the healthcare, financial services, manufacturing and not-for-profit industries as an audit manager. After leaving E&Y, Mr. Brixey worked as the CFO of CountyCorp, a non-profit organization engaged in the promotion of economic development in Montgomery County, Ohio. During this time, he launched his own practice where he provided outsourced CFO services, audit assistance, tax compliance and planning, and accounting and consulting solutions to his clients. At B&M, Mr. Brixey has led the firm’s efforts to assist several Fortune 500 companies with documentation and testing requirements associated with the Sarbanes-Oxley Act of 2002. Additionally, he has developed a niche in the healthcare industry and works with many medical practices, hospitals and other healthcare organizations in accounting, tax and management consulting capacities.